The issue of Razer Synapse not responding isn’t a huge issue. This limitation shouldn’t be a huge deal, but it’s something which you have to keep in mind. If you’re unable to open Razer Synapse, then quit worrying as you’re on the proper page. At times it happens that razer synapse isn’t working but from now quit worrying about it. Razer mouse and Razer keyboard are popular gadgets from Razar. After installing new Windows 10 then you have faced some issues with Razer Synapse. Here we are sharing How to Fix Razer Synapse not Working in Windows 8/8.1/10. Razer Synapse is Razer’s cloud-based software that allows you to control Razer devices. All the settings will be saved in the cloud. Basically, it will help you to manage Razer devices like the Razer mouse, Razer keyboard, etc. from anywhere. Due to outdated drivers, sometimes Razer Synapse starts creating conflicts with your system and stopped working. Now there are some other reasons for Razor Synapse not working. 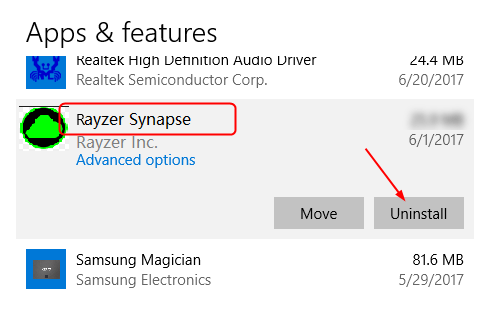 Outdated drivers are the main reason for Razor Synapse not working issue in Windows 10. Now if you have installed new Windows10 update then its time to update drivers. Step-1: Press Win + R to open Run box and then type devmgmt.msc. Press Enter. This will open the device manager. 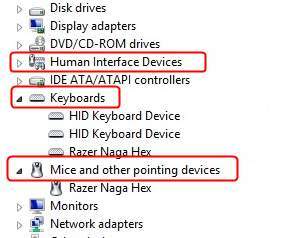 Step-2: Click Human Interface Devices, Mice and other pointing devices and expand them. Step-3: Find and then right-click on each Razer device > Uninstall device. Select delete drivers. 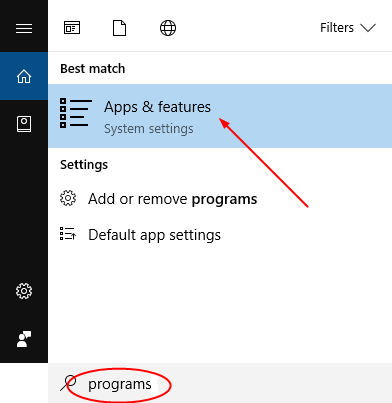 Step-4: Go to the Search > type programs > click on Apps & features. Step-5: Find Razer Synapse > Uninstall. Step-6: Now remove all your Razer devices and then plug them back. Step-7: Windows will automatically install the required drivers. 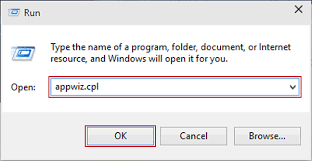 Step-1: Go to Run and then type appwiz.cpl > Enter. Go to Programs and Features. Step-2: Find Razor Synapse and Razor Core > right-click > Uninstall. 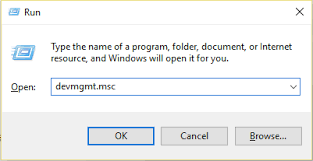 Step-5: Open Run using Win + R > type devmgmt.msc. 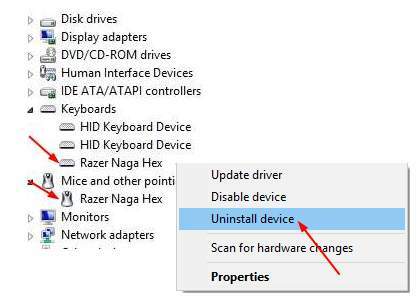 Step-6: In the Device Manager, find the Razer devices >right-click > Uninstall > Delete the driver software. Step-7: Unplug all the Razer devices for 5 minutes and plug them back. Step-8: Turn off the firewall and antivirus. Als install the latest .NET app. Step-9: Download Razer Synapse software from the official website and install them. Once done, check if you are facing the same issue or not. After downloading new Razer Drivers, still, you are getting Razer Synapse Not Working issue then update your Windows OS. Go to Settings > Update and Security and check for updates. Thanks for reading this guide to Fix Razer Synapse Not Working issue in Windows 10. Comment below if you need any help.